Home > Blog > Recommended Reads – August. 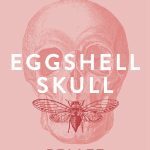 Australian Recent Release: Eggshell Skull by Bri Lee. “Scorching, self scouring; a young woman finds her steel and learns to wield it.” Helen Garner. If you haven’t already read Bri Lee’s powerful and heartbreakingly honest memoir, now is the time. Eggshell Skull tracks Lee’s journey through the Australian legal system. From the daughter of a policeman, to law student, to her experiences as a judging associate in the Brisbane Magistrates Offices, Lee’s journey is one of bravery, hope, empathy and a discovery that the legal system often looks very different for women. 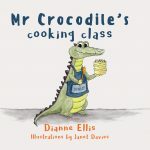 Kids Recent Release: Mr. Crocodile’s Cooking Class by Diane Ellis, illustrations by Janet Davies. “Mr Crocodile loves good food. So much so that he decides to join a cooking class to learn how to make his favourite dishes. Get your hands on this delightful book that will have both adults and children laughing and craving Mr Crocodile’s creations. This is one to fill your hearts. 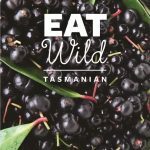 Tasmanian Recent Release: Eat Wild by Rees Campbell. Ever wanted to learn how to cook with products growing wild in your own backyard? Fancy a foraging trek up Kunanyi? Rees Campbell has you covered in this unique Tasmanian cookbook that will show you where to find edible plants and which parts to harvest and when. As well as this there are many fabulous recipes including native violet jelly and wallaby with warrigal pesto! Also included are a series of delightful photographs, maps and diagrams to help get you inspired if you aren’t already. Tasmanian Classic – Housewife Superstar: The very best of Marjorie Bligh by Danielle Wood. This is the life story of one of Tasmania’s most eccentric and well-loved writers – Marjorie Bligh. Throughout her life Bligh wrote numerous books providing advice on everything from food and household management, to recycling and even goldfish health. 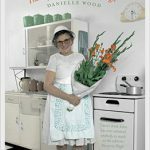 In this wonderful biography Wood provides a detailed and whimsical insight into the life of this domestic goddess.